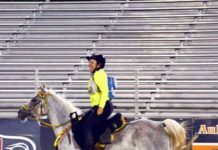 Home Endurance Tevis Cup Ride the grandaddy of 100 mile endurance events for free! The Tevis Cup 100 Mile Horse race is is the Granddaddy of endurance sports. 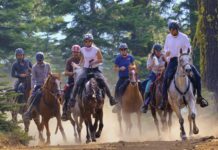 The 100 mile horse event climbs through the Granite Chief Wilderness and snakes it’s way along single track trails on the way to Auburn, California. Started in 1955 it was the first of many endurance sports that would soon follow. 100 mile human trail runs, 100 mountain bike races and Ironman events came later and it can be argued were a result of the Tevis Cup. 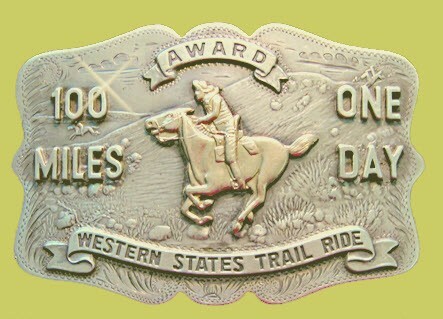 Most of the competitors in 100 mile foot races and 100 mile mountain bike events don’t understand they receive a belt buckle at the finish because of the roots and history that go back to the Tevis Cup. The 100 Mile Tevis Cup trail goes from Lake Tahoe to Auburn, California. In the sport of endurance horse racing the Tevis Cup is the event. It’s hard, it’s long, it’s hot and it only has a 50 year completion rate of close to 50% (Yes, only half that start finish). 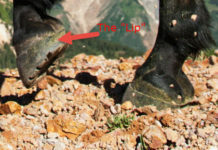 The 2009 Tevis Cup completion rate wasn’t far off the 50 year average, but horses wearing Easyboot Protective Horse Boots had a completion rate of close to 75%. These Barefoot Horses outperformed the horses wearing steel shoes in the completion rate category. Rodger Ford and Christoph Schork cool down GE Cyclone at the 2009 Tevis event. EasyCare wants to build on the Easy Boot Horse results from 2009 and try and continue the completion rate percentage in 2010. We need your help and are willing to pay your Tevis entry fee if you use four Easyboots for the entire event. We will be posting more soon on how to participate. Here is what we are currently looking at. 1. EasyCare will pay the Tevis entry fee for all riders who use four Easyboots on a barefoot horse. But riders need to do the following to get reimbursed. 2. The rider has to finish two 50 mile events prior to the 2010 Tevis in Easyboots to qualify. We want people to know the product and have success before they arrive. 3. The EasyCare team will help install the Easyboots the Thursday and Friday morning before the event. No boot installs from Friday noon on. We are also riding and need time to get prepared. 4. You need to finish to get reimbursed for your ride entry. Last year booted riders had a 75% completion rate compared to the 50% 50 year average. In the worst case you have a 50% chance of riding Tevis for free, If you use boots you have a 75% chance. If you use boots and ride smart it could be 80% or better. 80% or better is news and will make the world take notice!